February! You’re here! Don’t you feel like when January is over that we have survived something? For me that is the deepest, darkest, winter month and once February comes with its hearts and valentines I feel a little better about life. So, I say we start this month off with a heart-themed project! Let’s do this. 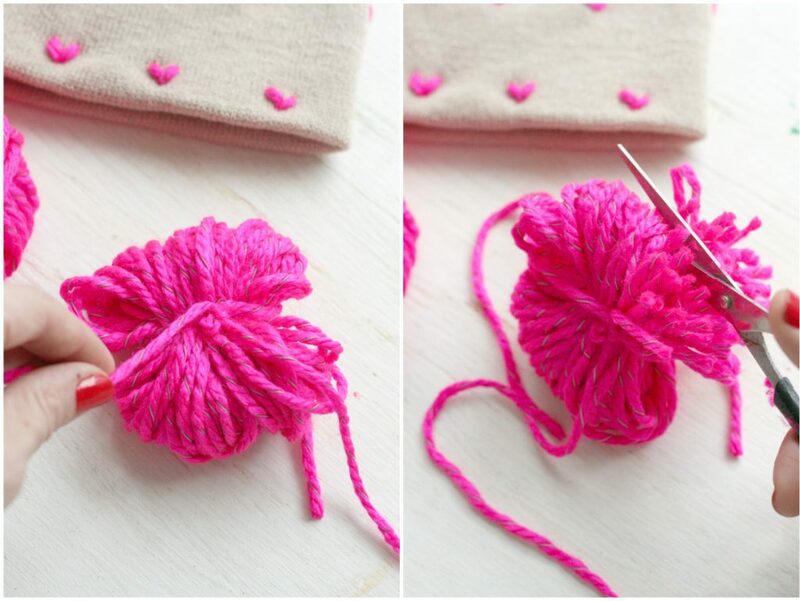 Needle (Make sure it is big enough to thread your yarn through! 1. 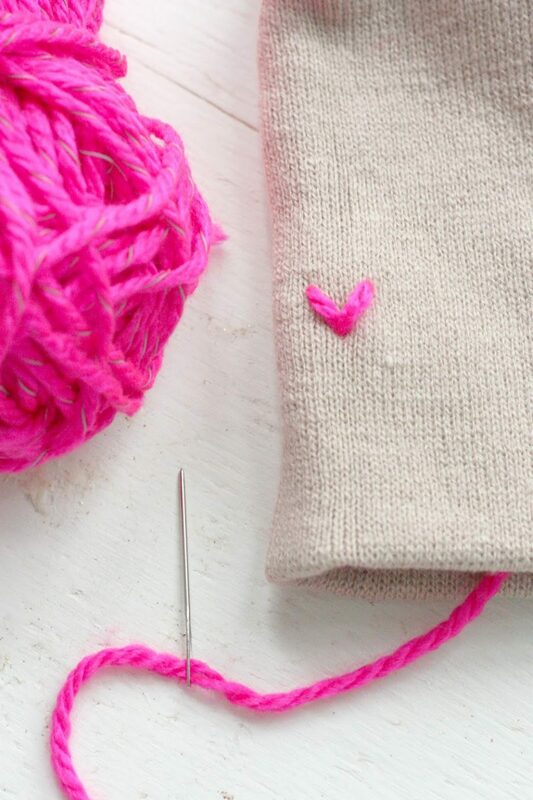 Start stitching your hearts! There isn’t much of a secret to this, just stitch a V, then cut your ends inside the hat and tie them off. I did mine all free-hand so they aren’t exactly evenly spaced, but you could also measure and mark them before with a pencil if you want more exact placement. 2. 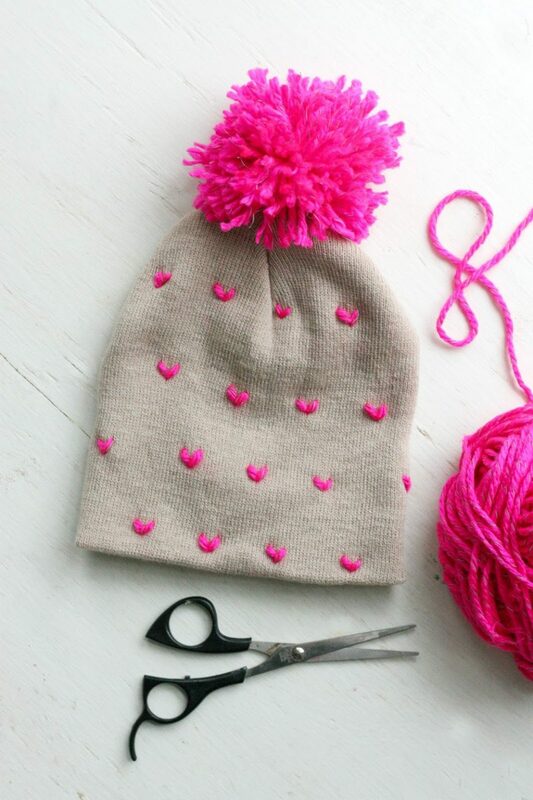 Make your pom pom! 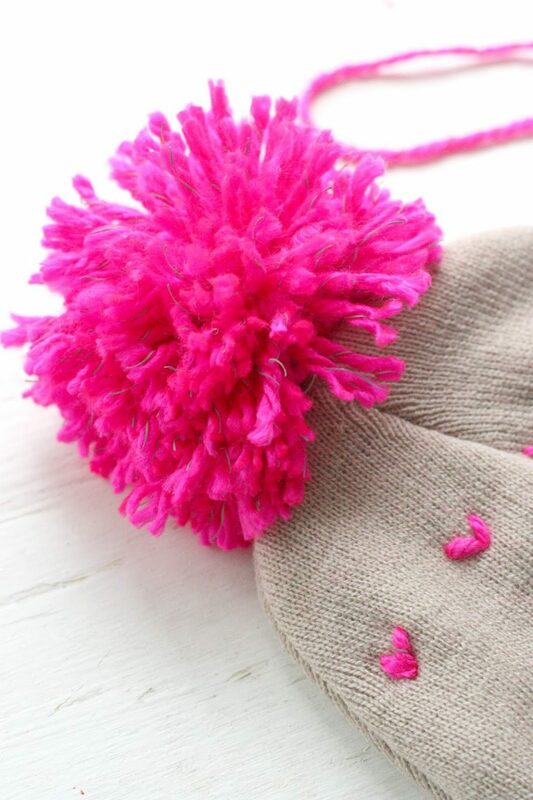 I made mine by wrapping the yarn around 4 of my fingers about 100 times. Then, carefully slide it off of your hand but so it keeps its shape. 3. 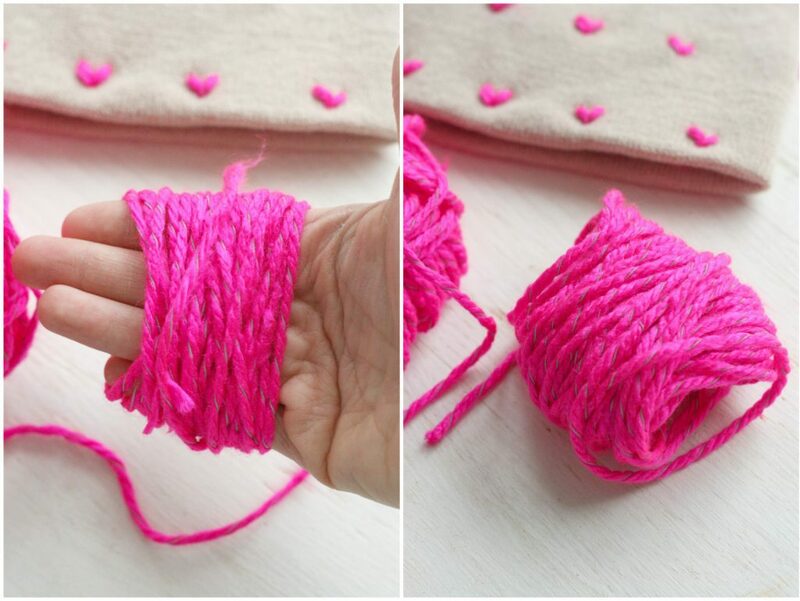 Cut a piece of yarn a view inches long and tie around the circle of yarn very tightly. 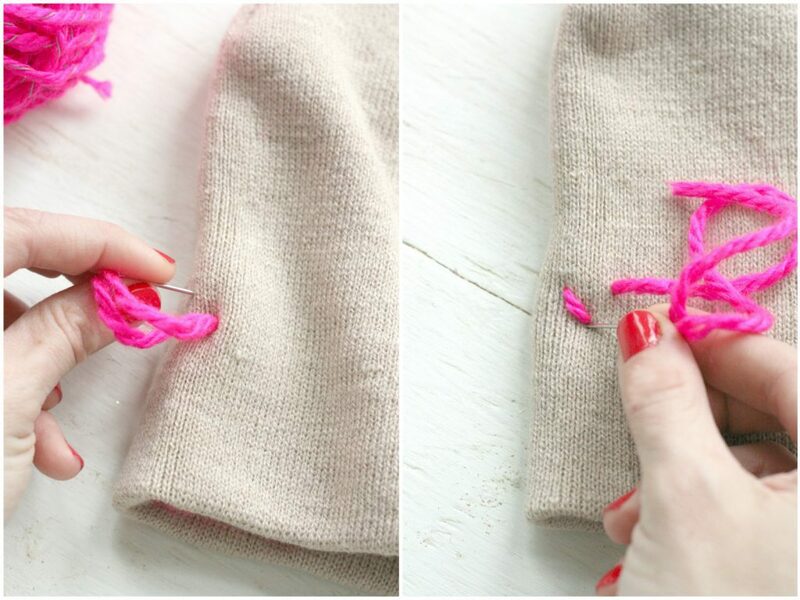 Then, take scissors and cut through the loops. 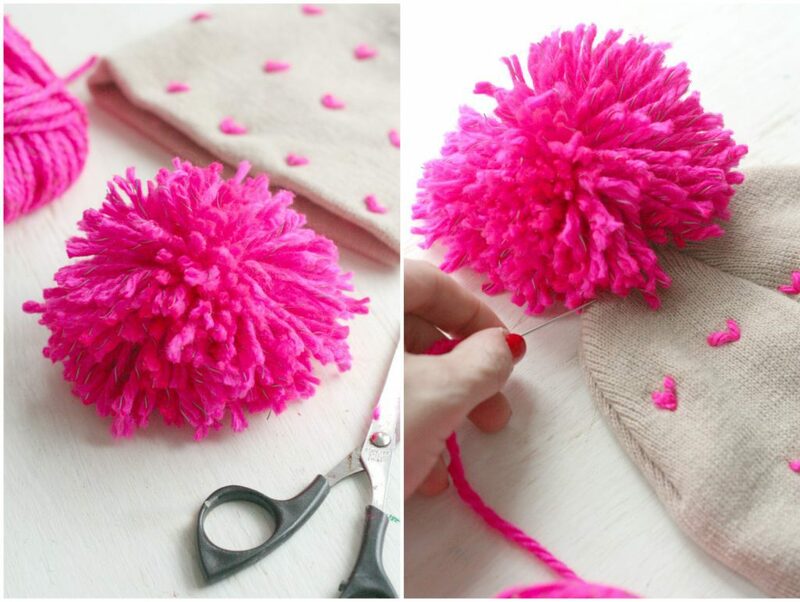 After all the loops are cut, I like to spend some time adjusting and trimming the ends of the pom pom until I am happy with its shape. 4. 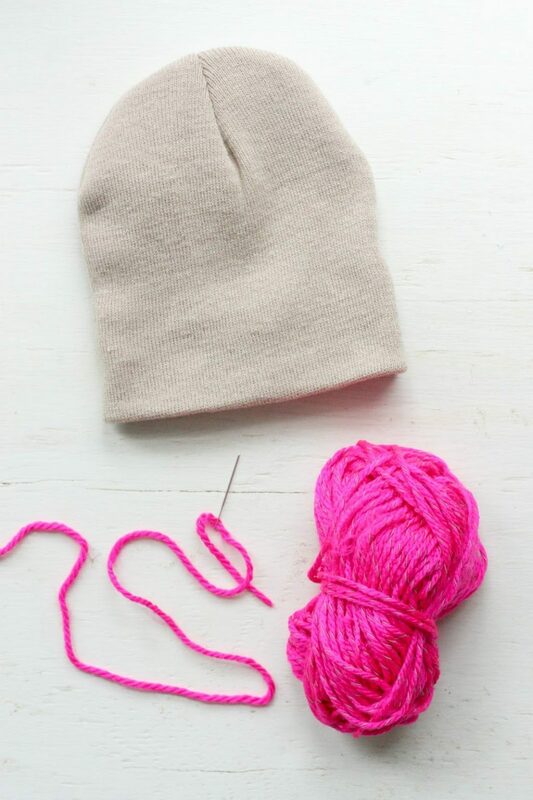 Thread your needle again and attach the pom pom to the top of the hat by threading it through the pom pom and tying it off inside the hat when secured. You’ve done it! SO easy, right? 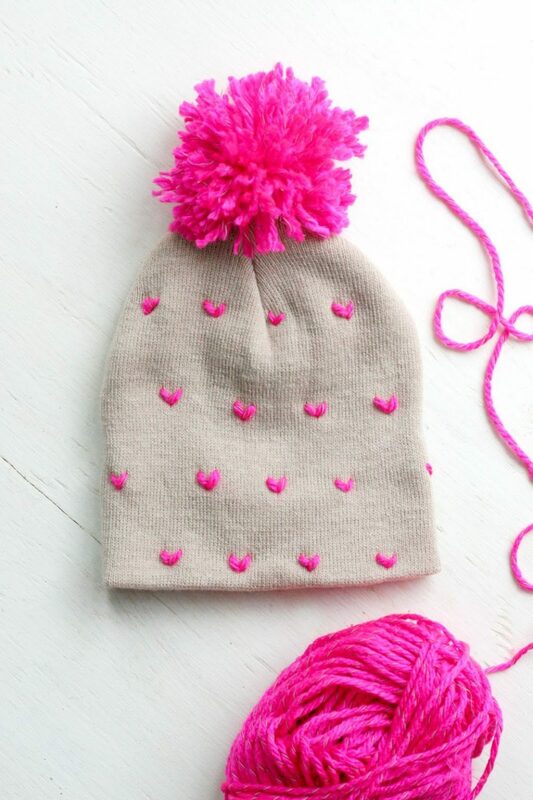 Now you can brave that cold February air in style. Or just stay inside where it’s warm and there is Netflix and look cozy and cute with your Valentine. That’s my preferred option. 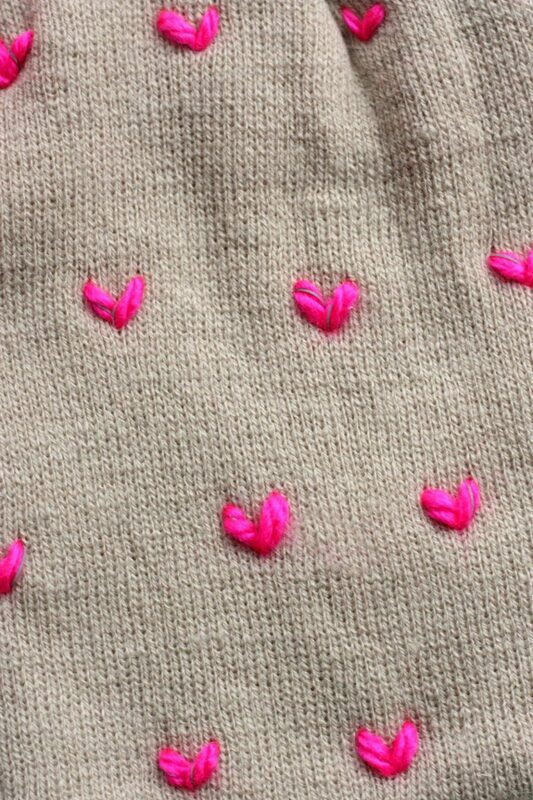 Happy love month and happy stitching! 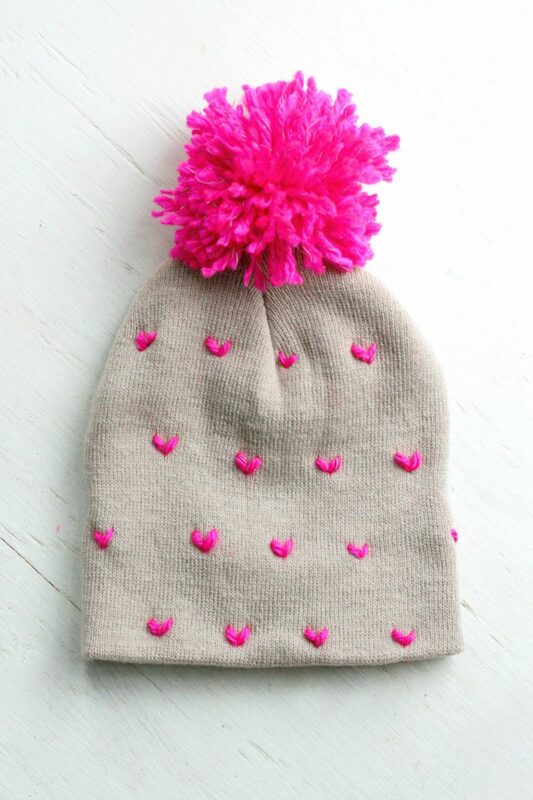 This hat is so cute! I'm obsessed with how it turned out!